British showjumper William Funnell joined an illustrious group of four-time winners when he took out the Al Shira’aa Derby at Hickstead at the weekend. 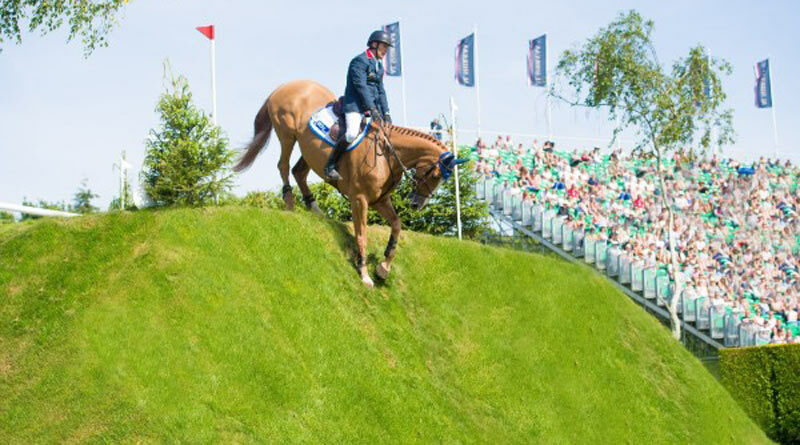 Funnell, 52, is the fifth rider to have four wins in the Hickstead Derby, having previously clocked up a hat-trick of victories in 2006, 2008 and 2009 with Mondriaan. He joins Harvey Smith, John and Michael Whitaker, and Ireland’s Eddie Macken, who have all had four wins in this iconic class. Riding the homebred 10-year-old Billy Buckingham, Funnell was one of just two riders to go clear in the first round, meaning he had to jump-off against Holly Smith and Quality Old Joker. The first to go in the jump-off, Funnell’s horse never looked in danger of touching a fence, although a foot in the water meant they finished with four faults in a time of 89.62sec. It gave Smith a bit of breathing space, but she was caught out first by the black gate and then by the water as well, meaning she retired into second place. His horse was previously ridden by Lucy Townley, the daughter of Hickstead Director Edward Bunn. Funnell took over the ride in 2017, and the pair finished sixth on their Derby debut last summer having hesitated at the top of the Bank and getting a time fault as well. Smith was bidding to become the first female winner since 2011, and only the sixth in history, but she had to settle for second place following her third place debut in 2017 with Quality Old Joker. In equal third place was the ultra-consistent Harriet Nuttall and A Touch Imperious, who yet again left all the fences standing but were another pair to be caught out by the 15ft Open Water; and Shane Breen and his Bunn Leisure Derby Trial winner Can Ya Makan, who knocked down the Balustrade fence at 14. James Whitaker ended up in fifth place with one fence down and a time fault on Glenavadra Brilliant, the horse James’ elder brother William Whitaker rode to victory in 2016.